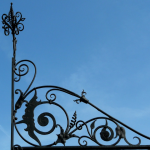 Which is Better – Wrought Iron or Steel? 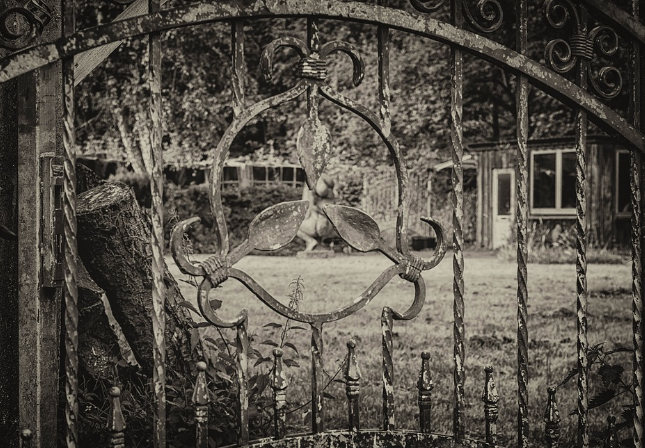 Wrought iron fencing has a rich history of providing beauty, security, and luxury to homes. 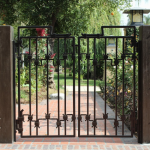 From intricate and ornate metal fence parts to lavish custom gates, wrought iron continues to be the choice for millions of homeowners. 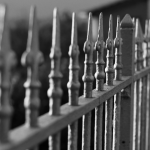 Metal fencing today comes in a wide variety of materials, two of which are traditional wrought iron and steel. What are the differences and advantages of each material? The metal mixture of refined iron is easily welded and forged. Customized metal fence parts come in artistically superior ornate styles that give both security and aesthetic elegance. 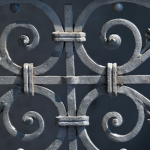 Homeowners choose wrought iron because of its unique strength, malleability, and luxurious finish. Additionally, wrought iron has low corrodibility. 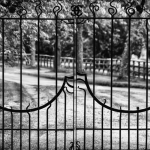 Workmanship with wrought iron involves tools and talented artisans creating beautiful metal fencing. Wrought iron deforms without failing. 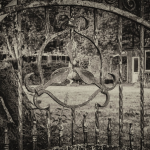 Wrought iron has been used for thousands of years. The word “wrought” literally means “worked iron”. The material is ideal for pouring into molds. A talented workman can stretch and shape the material. Constructions projects in the 20th century replaced traditional wrought iron with steel. Mild steel costs less than traditional wrought iron. The material contains iron, carbon, and other elements. An alloy of iron, carbon, and other elements, steel contains some impurities. Steel requires more intensive workmanship as the metal is not as pliable as wrought iron. High carbon steel has great hardness and is widely used. Engineers design vehicles like automobiles and airplanes with steel. Steel is more vulnerable to corrosion. Steel is ideal for one-size-fits-all manufacturing. While wrought iron costs more initially, in the long run wrought iron has increased longevity, strength, security, and durability. Additionally, for homeowners with an artistic sensibility, wrought iron provides opportunities for true creative expression. Both materials are commonly used by homeowners today. Speak with our experienced professionals about which material is best for your home.